This high-end fitness gadget has been a topic of many-a-debate. Is it actually a useful training aid, or just an expensive time vampire? That’s the question we have been trying to find an answer for. 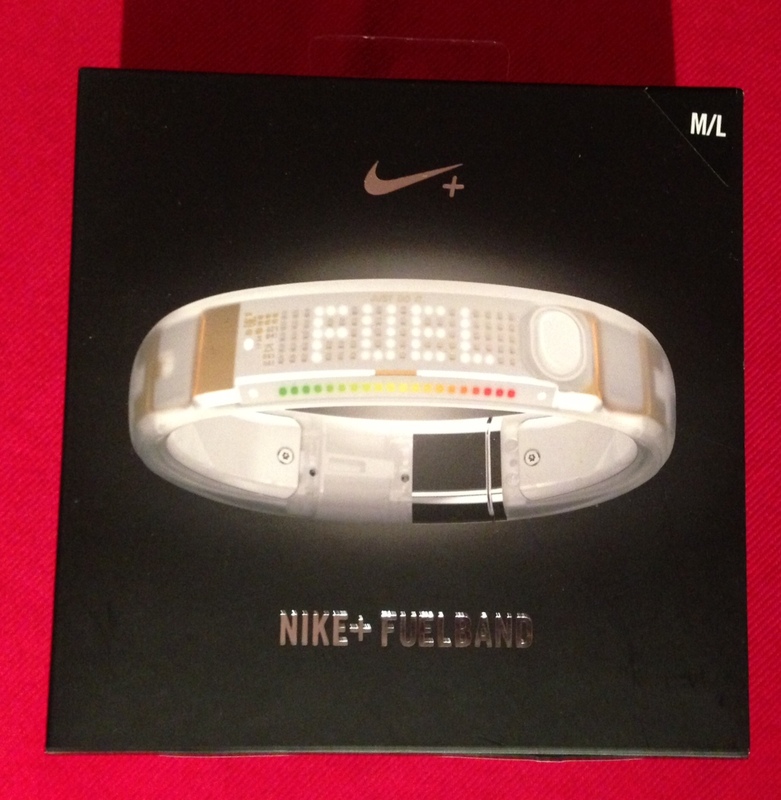 The Nike+ FuelBand has a feel of a really high end gadget from the way that it is packaged and how the actual product is designed. It oozes panache and is likely to appeal to the techy crowd rather than the hard-core body builder (more about that later). In the box, you’ll get your Nike+ FuelBand, a USB connector cable, an extension piece to ensure best fit and a tool to insert/take out the existing piece. What is also supposed to come in the box is a USB dock, which would make the FuelBand stand up nicely when it’s hooked up to your laptop, but alas, there was not one included in our box. You get an instruction booklet to get you started, though it isn’t really rocket science to get the bracelet up and running. 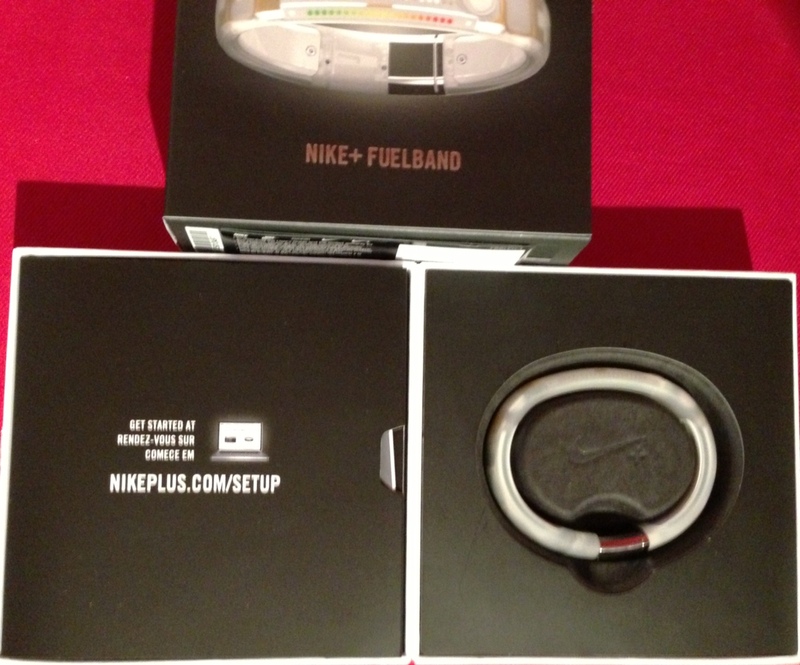 First off, you need to download the app to your Mac or PC from Nike (address is in the booklet), connect your FuelBand via the USB cable after you’ve installed everything and customise the device for yourself and create your Nike+ account. This shouldn’t take you forever to do. You then need to let the FuelBand fully charge, which takes up-to an hour via the USB lead. There is also an app available for your smartphone if you want to track your progress on the phone as well, but it isn’t a necessity to get going. I actually found that the phone app took longer to set up than the one on the computer and at times felt a bit frustrating. So does it actually work? Well, apart from looking shnazzy, the Nike FuelBand gives you an idea of the steps and calories burned. The reason I say “an idea”, is because I don’t think the readings are entirely accurate, but do give you a good idea. The device measures your body’s move through an intricate set of features built into the band. 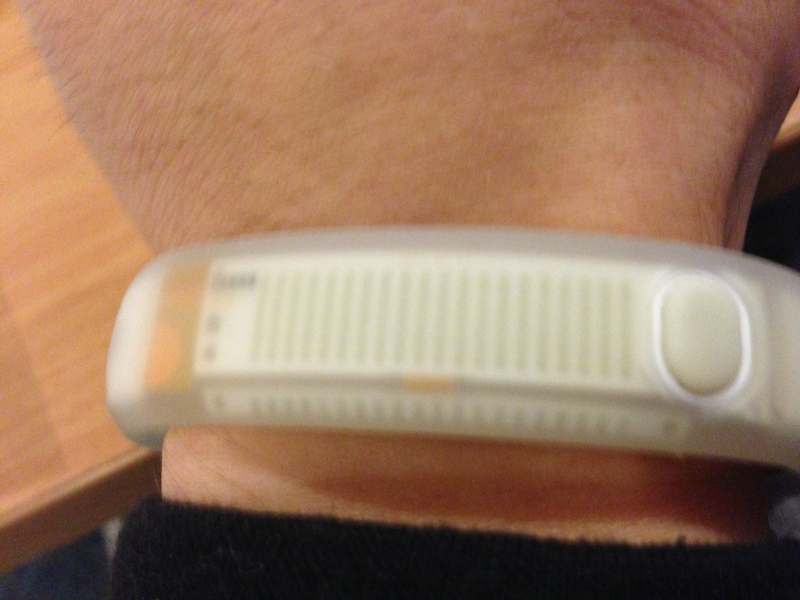 However, what we discovered is that it is easy to “cheat” the FuelBand. We discovered that if you wave your arm around whilst standing stationary, the FuelBand actually measures the swings of your arm as your steps and “burned” calories. Though having said that, I don’t think anyone would just sit there and wave their arm to reach their daily goal that is in the thousands of Nike Fuel. The other way where the Nike FuelBand has a shortfall is in the gym. It doesn’t measure all of the activities you do i.e. squats or leg press. Additionally, it is harder to accumulate the fuel points, when you are doing exercises that involve free weights. Additionally, the FuelBand has a hard time picking up movement from push ups or sit ups, mainly down to the fact that your arms (wrists) are mainly static. When it comes to cardio vascular exercise, the Nike+ FuelBand comes to its own. 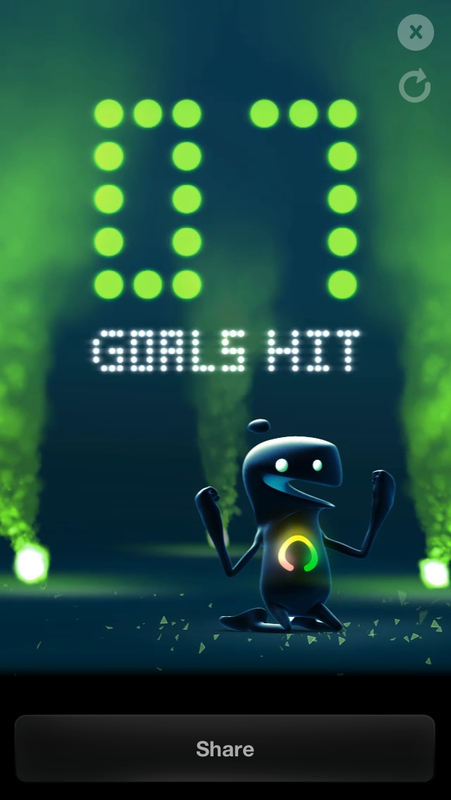 What compliments your daily fitness goals are pretty cool videos when you hit achievements, which make the FuelBand a fun experience to use. Having used the FuelBand in trainings and games, it does pick up the moves and does give you a good idea of how many calories you burn during a game. As with running or plyometric exercises, the FuelBand picks up the motions and tracks your progress. It is relatively un-intrusive in the glove and doesn’t interfere with stick handling or add anything that would hinder your performance. However, be sure that you don’t spend your shift staring at your wrist tracking how far you are off your goal. The FuelBand has added an extra edge in terms of performance. As the FuelBand gives you more fuel points the faster you move, so both on and off the ice, it has improved the way in which I push myself, be it on the ice or when my feet are pounding the road. What the FuelBand has helped out with, is definitely in the motivation. The daily goals do become a bit of an obsession and make you do more, which is great. Though there are some shortcomings, the FuelBand does add a new level to your fitness regimen and makes challenging yourself more fun and a bit of a game at the same time. The Nike+ FuelBand is a decent fitness aid, however it does have some shortcomings. It is in its element when you are doing cardiovascular exercise, like running, cross trainers or hockey, but if your main form of exercise is body building or weight training, it might seem like a waste of money. Once you get accustomed to wearing it, you are more obsessed about hitting your goals, which means that you are looking at doing more exercise to reach your targets, which I’ve noticed as being a great help. The graphics and charts that the FuelBand provides either on the phone or the computer, do give you a good idea of when you are most active and helps you to identify times of the day when you could be doing a little bit more. If you are a goal oriented person and wants an additional challenge to your fitness regimen, I’d recommend the Nike+ FuelBand. However, if your fitness routines revolve around free weights, I’d say that your money would be spent better elsewhere. Box came with no stand for dock.